This is the Foam Yamato Sword Of Vergil with hard plastic inner core. 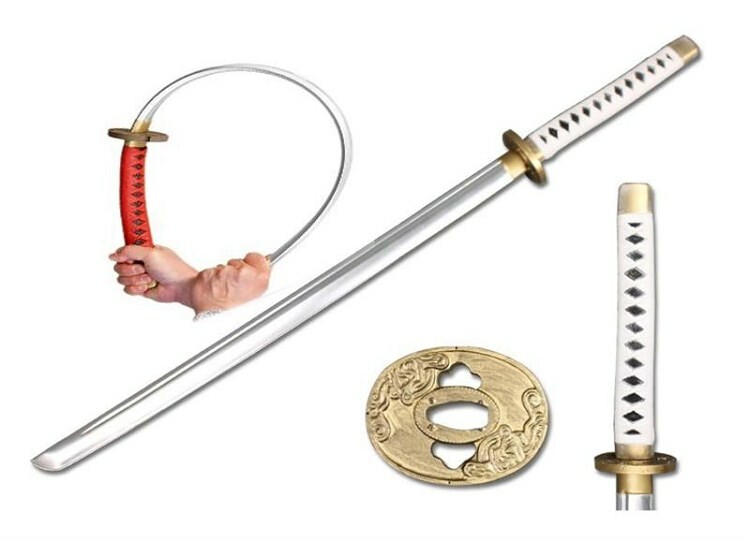 Designed to look attractive yet be completely safe to use and carry, this is the ultimate cosplayer's accessory for any type of Samurai or anime-based costume. Featuring accurate coloring and durable foam construction, this will pair well for any event costume. The handle features very highly detailed molding so that it feels like white cotton into wrapping on the handle. The metallic chrome finish blade is painted to appear like a real steel. This foam sword is for costume prop use only. The metallic chrome finish blade is painted to appear like a real steel. Guard: The guard features a dragon tsuba. Handle: White colored handle with black faux ray skin patterning underneath and gold colored fittings.